Do You Know These Peter Pan Quotes? 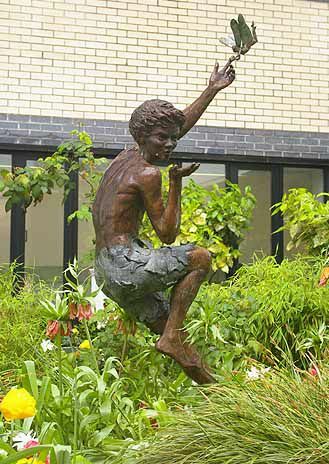 Peter Pan Statue at Great Ormond Street Hospital, London. J. M. Barrie's Peter Pan and his loyal crew of young lads, called The Lost Boys, continually find adventures on Neverland. The kids fight pirates, play with mermaids, and fly with fairies. 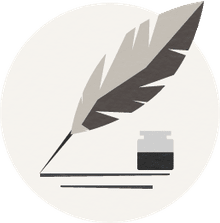 A fantastical story, Peter Pan strikes a chord with children and adults alike across the years, leading to remakes and spin-offs like Disney's 1953 animation movie, Steven Spielberg's Hook, and the TV series titled Neverland. Though first appearing in 1904 as a play, the well-known story of Peter Pan remains an ingrained cultural reference today. While you may know many of them, here are some poetic, deep, and heartwarming quotes from the beloved story, Peter Pan. "So come with me, where dreams are born, and time is never planned. Just think of happy things, and your heart will fly on wings, forever, in Never Never Land." "All children, except one, grow up." "Every time a child says, 'I don't believe in fairies,' there is a fairy somewhere that falls down dead." "Do you know," Peter asked, "why swallows build in the eaves of houses? It is to listen to the stories." "I'll teach you to jump on the wind's back, and away we go." "To die will be an awfully big adventure." "I'm youth, I'm joy," Peter answered at a venture, "I'm a little bird that has broken out of the egg." "When a new baby laughs for the first time a new fairy is born, and as there are always new babies there are always new fairies." "You know that place between sleep and awake, the place where you can still remember dreaming? That's where I'll always love you, Peter Pan. That's where I'll be waiting." Do You Know Who Really Invented the Wheelbarrow? How Do You Know Which Golf Club to Hit? Which Instrument Represents Which 'Peter and the Wolf' Character? How Do You Know When Your Painting is Finished? Where is Our Place in the Universe? Did You Know the US Apologized to Native Americans? A Look Back at "Pan's Labyrinth"